designing and carrying out an archaeological fieldwork project, and more. Over the course of four core classes and two electives, you will participate in collaborative research projects and archaeological excavations. Our faculty of highly skilled practitioners works closely with students to conduct practical training, create fresh learning experiences, and prepare students for rewarding careers after graduation. Upon completion of the program, you will be prepared to pursue professional opportunities in areas such as cultural resource management, public archaeology, historic preservation, museum studies, and government agencies. The U.S. Department of Education requires that we disclose certain information about academic programs that do not lead to a degree (e.g., certificate programs) but that prepare a student for gainful employment in a recognized occupation. 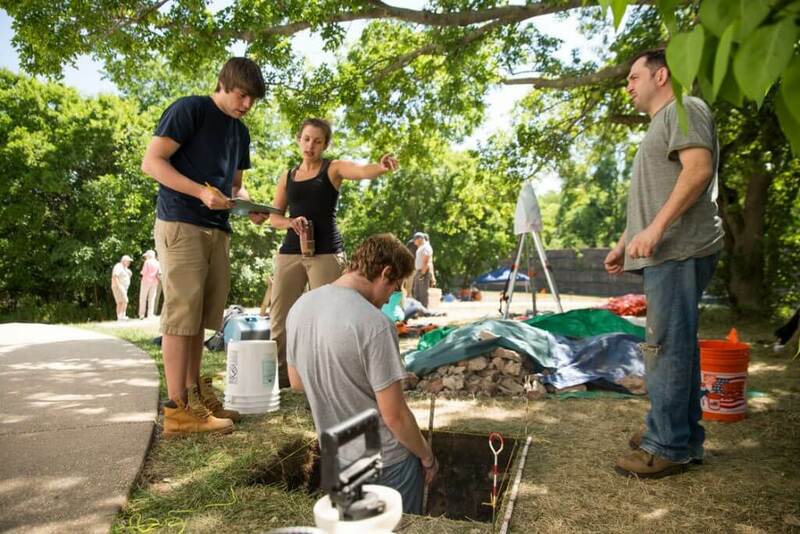 The Graduate Certificate in Archaeology program at Monmouth University is defined as a gainful employment program. You can review the required disclosures. Should you require additional information about these gainful employment disclosures, please contact the Financial Aid Office.